BlackBerry to get full Flash and Silverlight support | BlackBerry Blast! 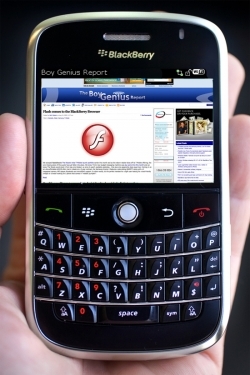 According to BGR, RIM will include full Flash and Microsoft Silverlight support into the BlackBerry web browser. That would be a huge step forward for mobile computing. Currently RIM is still in the planning stages of such a move and it likely won't happen until next summer. RIM needs to beef up their devices and the devices need to have higher data speeds. BGR says RIM has already achieved over 10Mbps downloads on next generation BlackBerrys in the test labs with test LTE equipment.